What: A ceremony to celebrate the official dedication of the new courthouse in Woodland for the Superior Court of California, County of Yolo. Who: The ceremony will include remarks by Chief Justice Tani G. Cantil-Sakauye, and Presiding Judge Kathleen M. White and Court Executive Officer Shawn C. Landry of the Yolo Superior Court. When: Thursday, October 1, 2015, 3:30 p.m.
Where: 1000 Main Street, Woodland. Why: The event celebrates completion of the new Yolo County courthouse, which opened August 31. The court’s new home features significant improvements in security, safety, access, efficiency, and services for visitors and staff. It consolidates operations from the historic courthouse, which will be used by the County, and five other obsolete buildings. The new five-story, 14-courtroom building features a curved façade at ground level, with a four-column portico entrance reminiscent of the old historic courthouse. 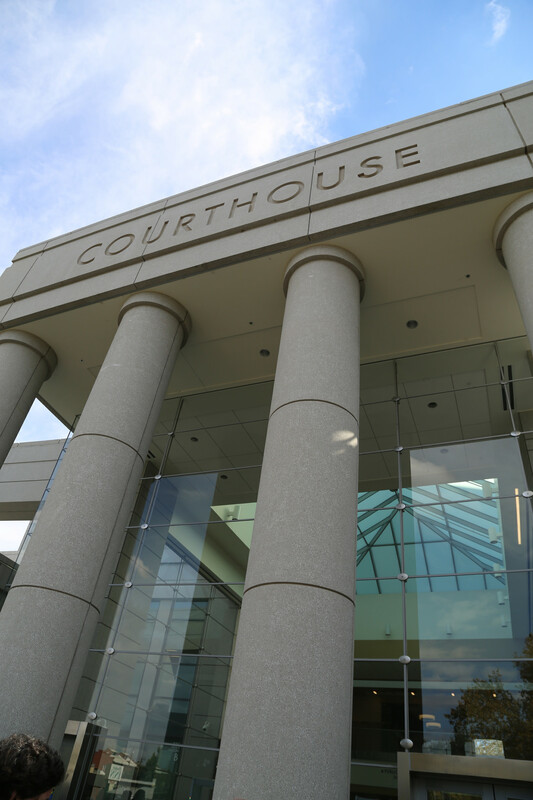 Designed by the Fentress architectural firm, in association with Sacramento’s Dreyfuss & Blackford Architects, the new courthouse is the most significant civic building constructed in Woodland in nearly a century. Funded through Senate Bill 1407, the courthouse was constructed by Hensel Phelps Construction. Members of the media wishing to attend the ceremony should contact Rocio Vega, at 530-406-6838.